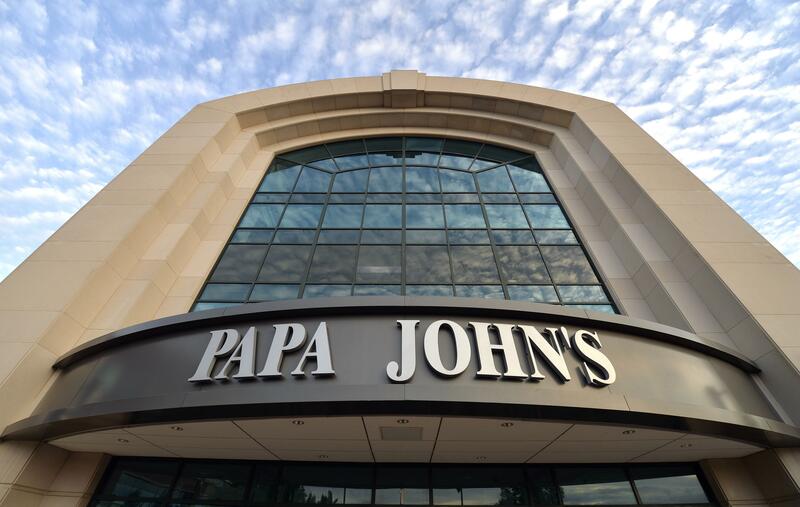 One of Papa John’s International Inc.’s top shareholders has cut its stake in the embattled pizza maker. JPMorgan Chase & Co., which held more than 5 percent of the company’s shares at the end of last year, has cut its holdings on behalf of clients to 2.4 percent, according to a filing with the U.S. Securities and Exchange Commission. The bank, which had been the chain’s fourth-largest shareholder at the end of the last quarter, is now No. 11, according to Bloomberg data. Investors’ anxiety appears to be rising as a public dispute at the restaurant chain stretches on with no end in sight. The shares have dropped about 8 percent since news broke that founder John Schnatter used a racial slur on a conference call. The incident ultimately prompted his resignation as chairman. JPMorgan declined to comment on why the stake was reduced. But BTIG LLC analyst Peter Saleh said the tension in the company’s boardroom is damaging shareholders’ confidence, especially at a time when some franchisees say it’s increasingly hard to attract customers. Hostility between the chain’s founder and its management has boiled over in recent weeks as the two sides trade allegations and lawsuits fly. Schnatter, the biggest shareholder with about 30 percent, is demanding new leadership at the pizza chain. After weaker-than-expected quarterly earnings last month, he published a blistering critique of management, targeting CEO Steve Ritchie in particular. The chain punched back, noting that the Schnatter controversy is weighing down performance. To avoid shuttering restaurants where sales have fallen since Schnatter’s comments, the company said it’s giving financial assistance to franchisees. On July 22, the board also adopted a poison pill designed to prevent Schnatter from adding to his stake or gaining majority control. A spokeswoman for the company declined to comment on the stake sale, noting that the chain doesn’t comment on individual investors. Schnatter is suing Ritchie and the board, accusing them of causing “irreparable harm” to the company. Shareholders, meanwhile, filed a class-action complaint against Papa John’s for allegedly misleading investors about Schnatter’s behavior and failing to prevent inappropriate conduct that hurt the company’s business and reputation. The fallout from the negative publicity – and franchisees’ pain – was illustrated by a July same-store sales decline in North America of 10.5 percent. Papa John’s store owner Judy Nichols, who owns restaurants in Nederland, Texas, is taking down signs and banners with Schnatter’s image, and ordering new pizza boxes that don’t feature his face. She said it’s encouraging that the company is helping to fund some of the new marketing, but business fell after the controversy erupted, and it has yet to rebound. Published: Sept. 10, 2018, 12:15 p.m.